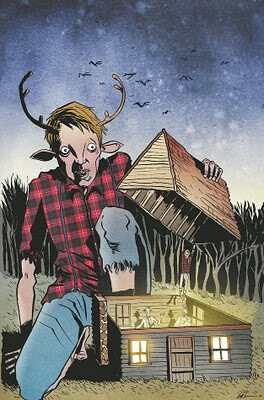 READ SWEET TOOTH #1 FOR FREE! 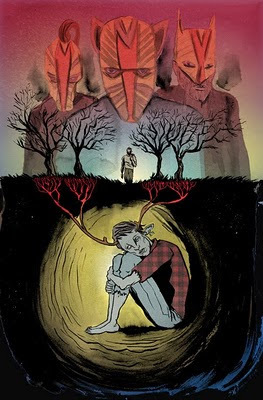 If you thought you knew Eisner-nominated writer/artist Jeff Lemire’s (The Essex County Trilogy) work, think again. A cross between Bambi and Cormac McCarthy’s The Road, SWEET TOOTH has everything you love about Lemire’s work—the quiet intimate moments, the powerful emotion—mixed with violence, and an edge that is unlike anything you’ve read of his before. Follow Gus, a rare new breed of human/animal hybrid children, as he sets out with Jepperd, a hulking drifter, on a post-apocalyptic journey into the devastated American landscape to find ‘The Preserve’ a refuge for hybrids. 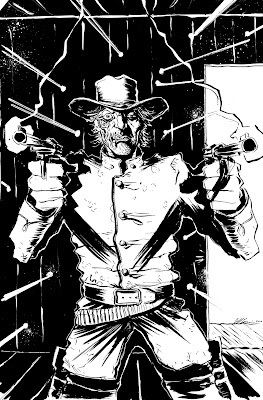 Read issue #1 now! Then go pick up SWEET TOOTH Vol. 1: Out of the Woods this May, to find out what happens next! SWEET TOOTH #10 On sale JUNE 2 • 32 pg, FC, $2.99 US • MATURE READERS Written by JEFF LEMIRE • Art and cover by JEFF LEMIRE In the most bizarre issue yet of this acclaimed series, Dr. Singh takes Gus on a surreal journey into his own past, his strange upbringing, and the even stranger teachings of his mysterious father. But will they find what Dr. Singh is really looking for? And what use will Gus be once they do? I'll be appearing at Emerald City Comicon in Seattle Washington this weekend. You can find me at the Top Shelf table (702) and at The DC/Vertigo booth. 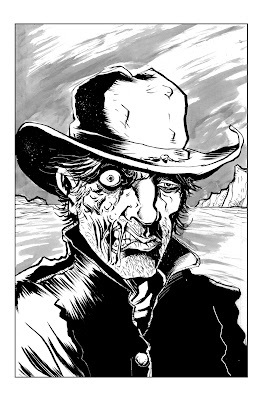 I'll be signing and sketching and I'll have original artwork for sale. Anyone who dresses up as Sweet Tooth or Jepperd gets free art! SNEAK PEEK AT SWEET TOOTH #7 ON Sale Wednesday! Find out what happens next Wednesday!